There are all sorts of possibilities available to the discerning hostess of today. Many guests simply require a place to plug in their phone or their laptop. A television and a stack of Christmas DVD’s can provide hours of amusement to guests of all ages. Video games, board games, bowl games, and music to suit every ear and every pair of dancing feet can be provided at the mere touch of a button. And let us not forget, if all else fails, a nice Christmas punch laced with a suitable spike can keep those hard to please guests quiet if not entertained. 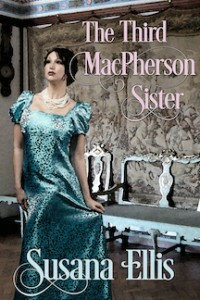 Think of the dilemma faced by the mistress of the house in England two hundred years ago. Unpredictable weather, no electronic options, and each and every friend, acquaintance, and relation looking to be fed, housed, and amused. 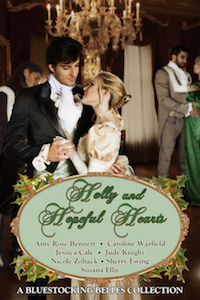 What is a Regency era lady of the manor to do? Fortunately there are a number of Regency Christmas traditions designed to keep the guests occupied and the lady’s reputation as the consummate hostess secure. As many Christmas gatherings might last as long as a month (from St. Nicholas Day to Epiphany or Twelfth Night,) a good hostess had to provide a bounty of entertainment for her guests. Trapped in a house, no matter how large and stately, with friends and relatives for an entire month could be trying at best and akin to a wartime siege at worst. In addition to the usual Regency party games – charades and whist, here are a few sources of entertainment common to a Regency Christmas. On St. Nicholas Day (December 6th) small gifts were exchanged among friends. This marked the official beginning of the Christmas season. After this the rounds of Christmas balls, parties and visits ensued. While Christmas carols might be sung around the piano by friends and family, caroling as we know it was not something members of the ton did, save perhaps a group of young people out for a lark. However, while there were no Christmas carolers in Regency England, there were wassail groups who would go from house to house singing begging songs in the hope of receiving food, drink, and money. Wassail was a mixture of beer, wine and brandy and was usually served to the singers at each house. The house was not decorated for Christmas until Christmas Eve. To do so earlier was thought to bring bad luck. Whilst servants often “brought in the greens,” as it was called, a more creative hostess might send her guests, especially the younger ones, to make up a party and go out into the estate’s forests and woodlands in search of greenery to festoon the manor. The guests enjoyed a bit of fresh air and exercise and there were many opportunities for young men and women to end up under the mistletoe for a surreptitious kiss as they cut it for kissing boughs to be hung in each open doorway and out of the way corner for later “accidental” meetings. Men had the opportunity to show off for the ladies as they dragged the yule log into the house to be lit from a stub from last year’s log and burnt in the hearth until Twelfth Night. Another source of entertainment were troupes of players called mummers, a tradition dating back to the medieval era. These varied from professional players to groups of lower class men who went from door to door asking if mummers were wanted. A good hostess might even hire a specific troupe to stop and entertain her guests. They were dressed in elaborate costumes with high paper caps – gilded and spangled, and ribbons of every color tied to their clothes. The characters of St. George and the Prince were also armed with ten swords. Their performance was called a “mysterie,” a very specific sort of play, which ended with a song and the collection of funds from those who had enjoyed the performance. It is thought these mummers’ plays were the forerunners of a Regency tradition still alive today in England – the Christmas pantomime. It usually opened on Boxing Day (December 26th) and was performed in local theatres. Drury Lane hosted one in London and even Astley’s Amphitheatre held a special Christmas spectacular. Another Boxing Day activity for the men in attendance, and some of the more adventurous ladies, was fox hunting. The Boxing Day Hunt was a long standing tradition, one I observed when I lived in England as a child. Under the heading of a Regency version of “Hey y’all, watch this!” comes the Christmas game of Snapdragon. Raisins were soaked in brandy in a large shallow bowl. The lights were snuffed out, and the brandy lit. People had to try and grasp a raisin and eat it without burning themselves. I think you’d have to soak me in brandy to get me to try it! A more tame version of the game was called bullet pudding and is described here in a letter from Jane Austen’s niece, Fanny Knight, to a friend. You must have a large pewter dish filled with flour which you must pile up into a sort of pudding with a peek at top. You must then lay a bullet at top and everybody cuts a slice of it, and the person that is cutting it when it falls must poke about with their noses and chins till they find it and then take it out with their mouths of which makes them strange figures all covered with flour but the worst is that you must not laugh for fear of the flour getting up your nose and mouth and choking you: You must not use your hands in taking the Bullet out. I think this might be a successful game even today. It sounds like a great deal of fun. Christmas trees were not prevalent during the Regency, although some houses were known to put up small ones bedecked with small gifts. They were made more popular in England by Queen Victoria and Prince Albert in the middle of the 19th century. However, on Epiphany Eve, men would gather round a tree, usually in an orchard, with cider and guns. In an ancient ceremony, they would drink to the tree and fire the guns to drive away evil spirits and promote the vigor of the trees. Horn-blowing was an alternative to firing guns. One would hope the lady had a physician in attendance, just in case. A more ambitious hostess might engage her guests in performing their own Christmas play. With a month to write and rehearse it, some of these plays were quite elaborate. And on Twelfth Night (the official end of the Christmas season) gifts were exchanged again and a masquerade party was held. To add to the fun, guests sometimes had to search the house for elements of their costumes. Sometimes they would draw names of characters they were to play throughout the party. The characters’ names usually described the sort of person the guest was to portray. Mrs. Candor – a lady who always speaks with perfect frankness. Miss Tittletattle, who speaks nothing but gossip. Lord Bumblefoot, who trods on ladies’ toes when dancing. The character must be maintained throughout the party. Once the Twelfth Night festivities were over it was time to take your leave until next year. As you can see, a lack of electronic devices did not hinder the ladies and gentlemen of the Regency era from celebrating Christmas with a great deal of laughter, joy, friendship, and love. Exactly what I wish for each of you during this most wonderful of seasons! Do you have any unique Christmas traditions or forms of entertainment enjoyed by your friends and family? Tell us about them! A random commenter will receive an e-copy of either Christmas Revels or Christmas Revels II – winner’s choice. Margaret Trent never needs anything or anyone, but when two London solicitors show up on her doorstep, she needs a hero. Enter Henry Ogden, mild-mannered village vicar. Hardly the stuff of heroes . . . until adversity brings out unexpected talents. A chance meeting between a reluctant viscount and a self-effacing companion revives memories of their shared past—a time when they were very different people. 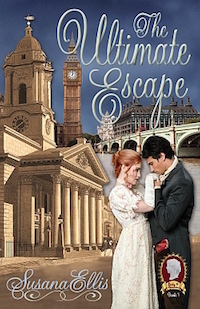 With secrets to keep, Sarah Clendenin wishes Benjamin Radcliff gone . . . but he’s making calculations of his own. 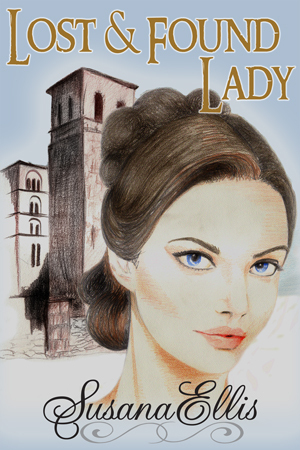 A trail of blood drops leads Jane Merrywether to a wounded stranger—the only person standing in the way of her wicked guardian becoming an earl. John Rexford, long-thought dead, has returned to claim his inheritance and his promised bride . . . if he can survive a murderous Christmas. After years at war, Viscount Pennyworth returns to his ancestral home to find some peace and quiet and to avoid the holiday he loathes. But four naughty boys, a bonnet-wearing goat, a one-eyed cat, a family secret, and one Annabelle Winters, governess, make this a Christmas he’ll never forget. He crossed the room to where she sat. Putting one hand on the table and the other on the back of her chair, he leaned over her. The scent of soap, leather, and cloves made her want to move closer, but she did not dare. “By what right does that thing call himself a cat? I have had my breakfast poisoned, my patience tried, and my sanity called into question. What would you call it, if not a battlefield? There will be no Christmas in this house.” He blinked. Slowly removed his hands. And took a step back. With a brief nod he turned to go. “We’ll just see about that,” Belle muttered. “Do not go to war with me, madam. I have years of experience and tricks you cannot begin to imagine.” He threw open the parlor door and stalked down the corridor, his boots delivering a ringing celebration of his temper. During those same three years, Louisa’s vocal talent was discovered. Her study of music began at the London College of Music and continued once she returned to the States. After four music degrees and a year of study at the Mozarteum in Salzburg, Austria, Louisa was fortunate enough to embark on a singing career in opera houses in Germany, Austria, and most of Eastern Europe. As a traveling diva, Louisa discovered playing a role costumed in lingerie in March can be a chilling experience, and in most Romanian B&B’s hot water is strictly a matter of opinion. 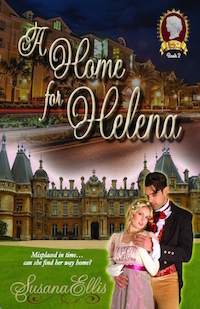 Now retired from an active career in opera, Louisa has returned to her first love— writing Regency-set historical romance. 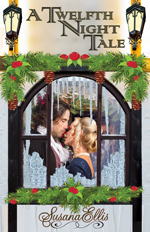 Her publishing debut, A PERFECTLY DREADFUL CHRISTMAS (from the anthology Christmas Revels,) won the 2015 Holt Medallion for Best Romance Novella. Two time Golden Heart finalist, three time Daphne du Maurier winner, and three time Royal Ascot winner, Louisa lives in LA (Lower Alabama) with Frodo, a Chihuahua so grouchy he has been banned from six veterinary clinics, several perfectly amiable small dogs, one large, goofy dog named Duke, and a cat who terminates vermin with extreme prejudice.